Across the globe, there are various brands of flanges are available and manufactured by various leading manufacturers. But when it comes to choosing the right and best quality of Hastelloy C276 flanges the only name that come in your mind is Sagar Prakash alloys. We are one of the leading manufacturers of alloy flanges and offer custom made shapes and size to all our customers and clients as per their requirement. Hastelloy is the most commonly used alloy that has high corrosion resistance and strength. These alloy products are considered best due to its strong reducing and oxidizing acids and cracking resistance. Being one of the best manufacturers we are well aware of customer’s needs and requirements. Therefore, we offer best quality products made with the best quality of raw material. There are various key benefits related to this alloy product like outstanding corrosion resistance, hot acids that make flanges withstand in extreme environment. Ductile and easy to weld and form. We manufacture products that are approved by international and national standards. However, there are other standards in which these products are available like ASTM B574, ASTM B619 etc. size of these alloy flanges range from ½ inches to 36 inches and provided as per customer’s requirement. ASTM B564 Hastelloy C276 Slip on flanges, Hastelloy C276 Socket weld flanges, ASME SB564 Hastelloy C276 Blind flanges, Hastelloy C276 Welding neck flanges, RoHS-compliant Hastelloy C276 Orifice Flanges, Hastelloy C276 Forged flanges, Hastelloy Alloy C276 Flanges, Hastelloy C276 Spectacle blind flange, Hastelloy C276 Flanges, Alloy C276 Ring type joint flange, Nickel-Molybdenum-Chromium Superalloy C276 Flanges Supplier. However, if we talk about Hastelloy C276 Flanges quality and durability, then they are highly durable and come in the best quality of grade and standard. Every raw material used in the manufacturing is well tested and inspected and approved a quality certificate for these products. They are packed in wooden cases or boxes to prevent these products from damage and rust. 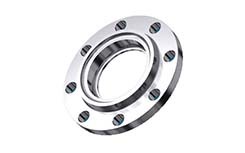 ASTM B564 Hastelloy Alloy C276 Slip On Flanges, Hastelloy Alloy DIN 2.4819 Slip On Flanges, Hastelloy Alloy UNS N10276 Slip On Flanges, AISI C276 Slip On Flanges, C276 DIN 16.5 Slip On Flanges, Hastelloy C276 Slip On Flanges, C276 Forged Slip On Flanges, ASME C276 Slip On Flanges, Hastelloy Alloy NW 0276 Slip On Flanges. Hastelloy Alloy C276 Weld Neck Flanges, ASTM B564 Hastelloy Alloy C276 Weld Neck Flanges, C276 Hastelloy Weld Neck Flanges, Hastelloy Alloy DIN 2.4819 Weld Neck Flanges, Hastelloy Alloy UNS N10276 Weld Neck Flanges, Hastelloy C276 Weld Neck Flanges, AISI C276 Weld Neck Flanges, Hastelloy Alloy NW 0276 Weld Neck Flanges. ASTM B564 Hastelloy Alloy C276 Blind Flanges, C276 DIN 16.5 Blind Flanges, AISI C276 Blind Flanges, Hastelloy Alloy C276 Blind Flanges, C276 Hastelloy Blind Flanges, C276 Blind Flanges, Hastelloy Alloy UNS N10276 Blind Flanges, Hastelloy Alloy DIN 2.4819 Blind Flanges, Hastelloy C276 Blind Flanges, Hastelloy Alloy NW 0276 Blind Flanges. Hastelloy DIN 2.4819 Socket Weld Flanges, Hastelloy Alloy C276 Socket Weld Flanges, Hastelloy DIN 2.4819 Socket Weld Flanges, Hastelloy C276 Socket Weld Flanges, Hastelloy Alloy UNS N10276 Socket Weld Flanges, AISI 16.5 Alloy C276 Socket Weld Flanges, ASTM B564 Hastelloy Alloy C276 Socket Weld Flanges, Hastelloy NW 0276 Socket Weld Flanges. Hastelloy N10276 Flanges are manufactured and controlled to international standards such as ASTM, ASME, BS, MSS, EN, DIN or WERKSTOFFE. Our products undergo stringent quality tests before they are dispatched. Gambia, Kazakhstan, Iran, Indonesia, Thailand, Chile, Mexico, France, Serbia, Libya, Denmark, Vietnam, Japan, Brazil, Mongolia, Czech Republic, Pakistan, Lebanon, Taiwan, Belgium, United States, China, Switzerland, Sweden, Chile, Afghanistan, Israel, Lithuania, Austria, Oman, Bolivia, New Zealand, Ecuador, Iran, Estonia, Qatar, Bhutan, Australia, Hungary, Sri Lanka, Turkey, Costa Rica, South Africa, Trinidad & Tobago,Tunisia, Egypt, Zimbabwe, Malaysia, Nigeria, Germany, Jordan, Ireland, Mexico, Canada, Spain, Philippines, Kuwait, Russia, Angola, Norway, Yemen, Nepal, Finland, Gabon, Macau, Bulgaria, Peru, India, Algeria, Bahrain, Tibet, Slovakia, Ghana, Portugal, Bangladesh, Romania, Venezuela, Saudi Arabia, Puerto Rico, Greece, Azerbaijan, Ukraine, Colombia, Poland, Argentina, Italy, South Korea, Croatia, Belarus, United Kingdom, Poland, Iraq, Singapore, Netherlands, Nigeria, Hong Kong, Namibia, Kenya, United Arab Emirates, Morocco. Chandigarh(Punjab), Ludhiana(Punjab), Faridabad(Haryana), Indore(Madhya Pradesh), Gurgaon(Haryana), Mumbai (maharashtra), Pune(Maharashtra), Ahmedabad(Gujarat), New Delhi, Navi Mumbai(Maharashtra), Thane(Maharashtra), Pimpri-Chinchwad(maharashtra), Bhopal(india), Rajkot(Gujarat), Kolkata(West Bengal), Howrah(West Bengal), Thiruvananthapuram(Kerala), Visakhapatnam(Andhra Pradesh), Vadodara(Gujarat), Ernakulam(Kerala), Hyderabad(Andhra Pradesh), Secunderabad(Hyderabad), Chennai(Tamil Nadu), Haryana(india), Bengaluru(Karnataka), Coimbatore (Tamil Nadu), Surat(Gujarat), Noida(Uttar Pradesh).